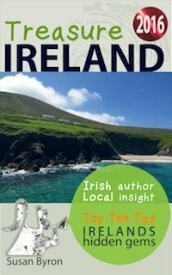 'Where to Eat, Sleep & Play in Ireland' I have written this eBook in response to the 100’s of emails I receive daily from potential visitors asking those same questions. With over 100,000 bed options available daily in Ireland, how is the independent visitor supposed to choose much less get it right? Sure, you can trawl through the maze of discount hotel sites or you can take the easy route and trust my advice gathered over four years of independent travel and research throughout Ireland.Would you like to know the Top 10 Posh Places to stay in Ireland for Peanuts? thought so! Yes, the upside to the recession is that there are some truly amazing deals to had in Ireland right. I have handpicked and listed the very best of them for you in this eBook. The lists are tight and limited to the Top 10 for a reason? To ensure that these establishments are at the top of their game and that you get the most bang for your buck and the best possible experience of Ireland. It is the same with food, visitors assume that we have great food in Ireland and yes we do, but it is certainly not everywhere and it can be expensive, very expensive ! As anyone who follows my blog or facebook page will know, I love and appreciate good food and I am a great champion of those restaurants, listed in my eBook that are making a serious effort at producing top class food at affordable prices daily.And while there is already a full and free listing of the Top 10 visitor attractions on the website, within the guide I have again simplified matters by selecting the cream of the crop in terms of the Top 10 Festivals & Events this year as well as my own personal favourites that I think offer exceptional value for money and top quality experiences. You can sample each section by clicking the highlighted links below, but if you want all 150 recommendations, you are going to have to buy the eBook. Hey, a girl’s got to make a living ! But I guarantee you, that your $9.99 investment will not only save you $100’s on your trip but also ensure that you have the best time ever while you are here. Eat, Sleep & Play Prizes ! Every week one lucky purchaser will receive a superb prize, which will be highlighted on my Facebook Page each Saturday with the winner being announced on Sunday. Prizes will range from complimentary overnight stays for two including breakfast in one of the fabulous places to stay listed in my eBook. Gourmet lunch / dinners for two (including wine) in one of the recommended restaurants. 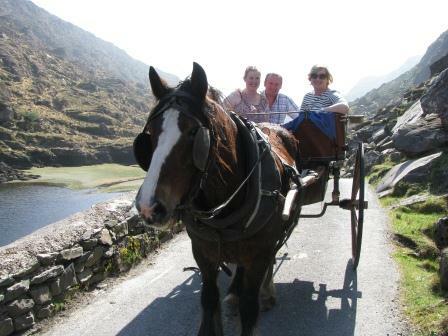 Irish goodie hampers, bumper packs of family passes, free coach tours & boat trips. To be eligible all you have to do is purchase my Ebook and your name will be entered into the draw every week.